Girls always love experimenting with their looks and we have often seen Bollywood actresses pull it off with ease. Newbie Janhvi Kapoor who had long wavy manes has chopped them off and is sporting a short hair. In a video shared on the Cosmopolitan Instagram handle, Janhvi appears donning a never-before-seen look. She is seen sporting bangs and a bright yellow sequined dress. 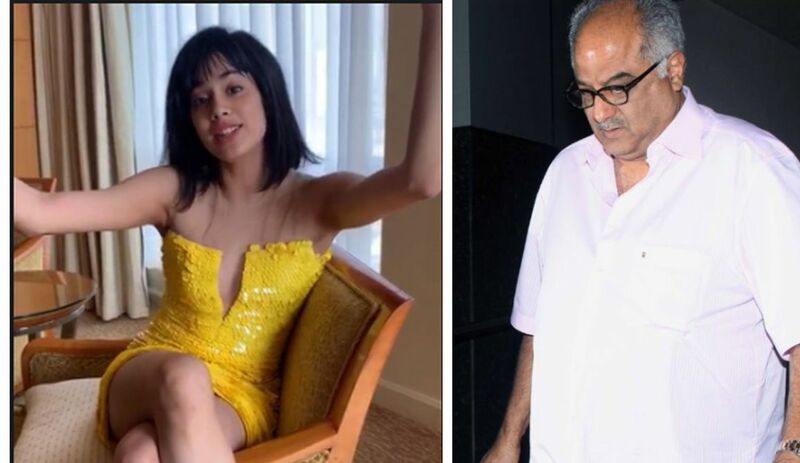 Janhvi is heard saying in the video that she has cut her hair specifically for the cover shoot and that her dad would kill her for it. If you haven’t seen her current look, then here you go. As for the cover of the magazine, Janhvi is donning a silver sequined attire and looks amazing with her short hair. Here is the cover of Cosmopolitan magazine January edition. On the professional front, Janhvi Kapoor’s debut film Dhadak alongside Ishaan Khatter made a box office success with Rs 100 crore. Apart from that, she will be next seen in Karan Johar’s Takht which is a multi-starrer film.